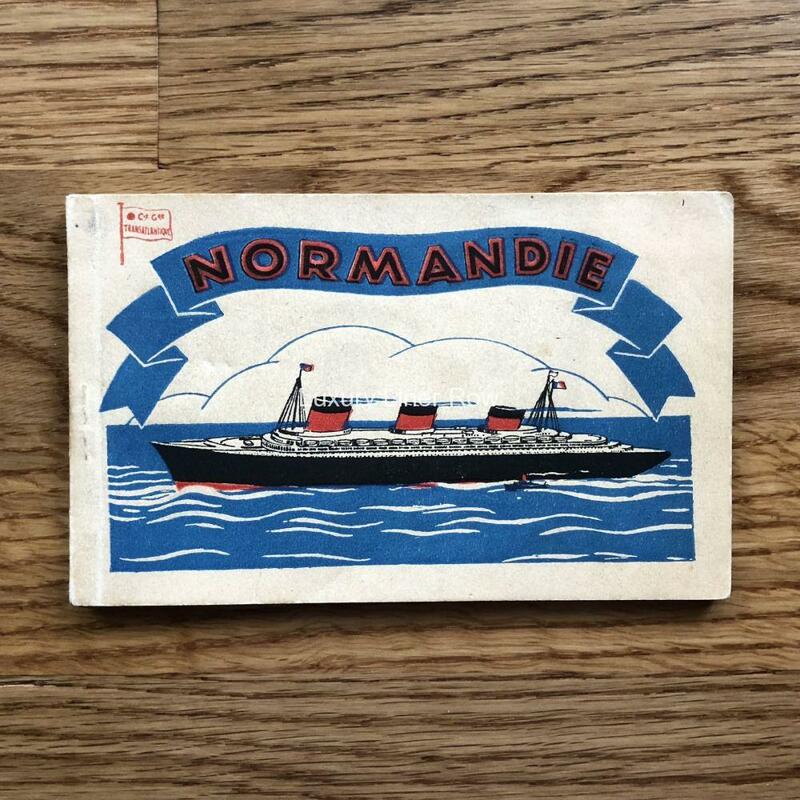 Post card booklet for the ss Normadie. 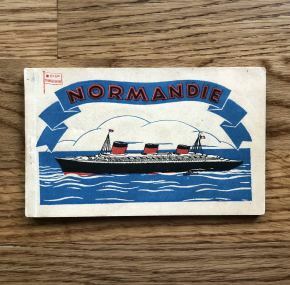 The French love these booklets, but they never seem to have caught on for the British lines. 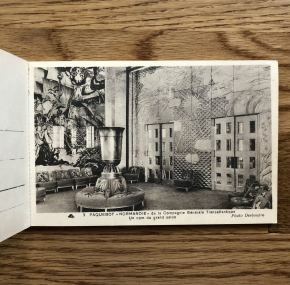 Contains 15 printed post cards ranging from the bridge and two engine spaces to the first-class passenger accommodation. 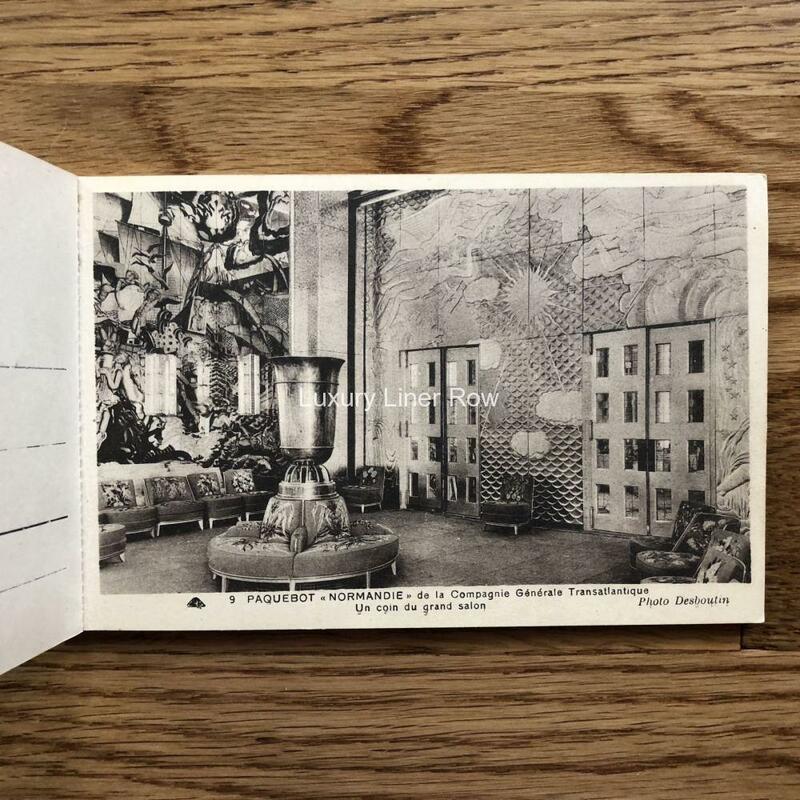 Complete as no cards have been removed.